Wherever in the world you may find yourself, a breathtaking sunset is a sight to behold. Vodafone’s $5 Roaming lets you use your plan in 80 countries for $5 extra a day, and makes it easier to instantly upload that shot of the perfect sunset, as well as discover what else is on offer at your holiday destination. We’ve compiled a list of the best $5 Roaming locations to view a sunset and enjoy the local culture. 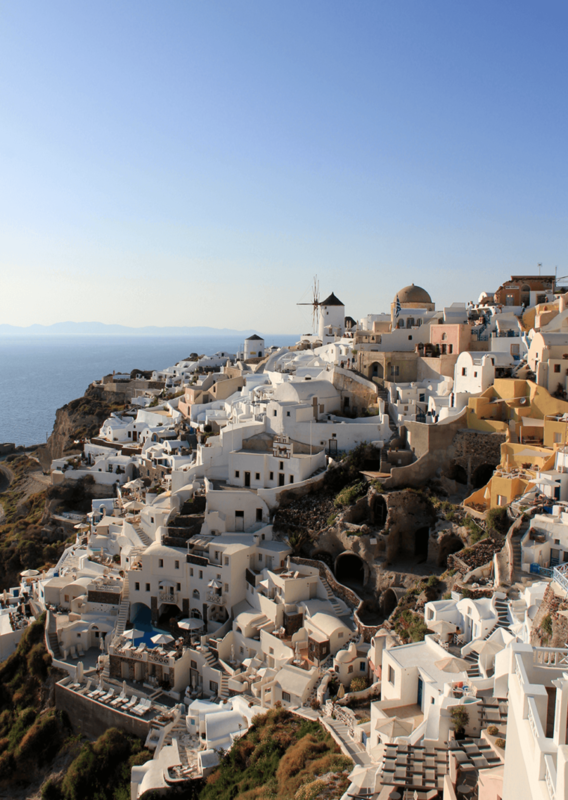 Santorini is well known as a romantic destination with beautiful cliff-side views and white washed architecture. The gorgeous Grecian sunset can be seen throughout the entire west coast of Santorini, from Oia to Akrotiri, and can be enjoyed whether you’re relaxing down on Santorini’s famous Red Beach or with a seafood dinner at one of the many fine-dining restaurants. When you’re not enjoying the sunset, why not hire a quad bike and explore the island or hike the dormant volcano and dip your legs in a thermal hot-spring. Santorini, Greece. Photo credit: Jaime Arrieta. As one of the New Seven Wonders of the World, the Taj Mahal is an awe-inspiring structure that demonstrates an amazing architectural feat. It also serves as a picturesque foreground for a beautiful deep-orange sunset. 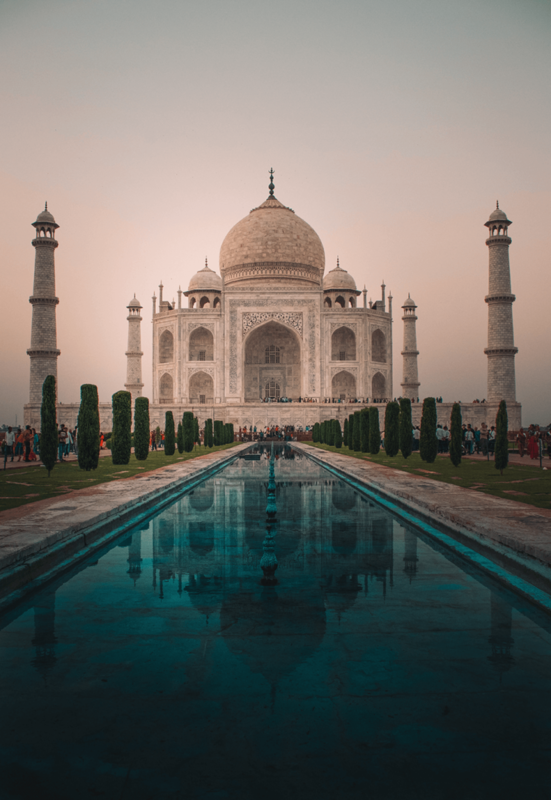 The Taj Mahal and its surrounding city, Agra, is one of the top tourist destinations of India, owing to an array of impressive buildings dating back to the Mughal Empire, and a variety of street food that showcases India’s culinary delights. Taj Mahal, India. Photo credit: Jayakody Anthanas. Santa Monica Pier in California hosts an assortment of fun-filled rides and games to suit all ages. Whilst taking a break from the entertainment, grab some carnival food and head down to Santa Monica beach to enjoy a dazzling sunset that overhangs the vibrant neon-lights of the carnival rides. 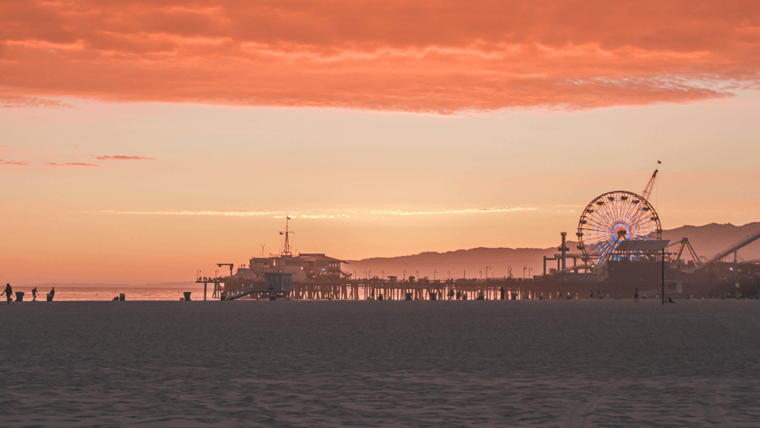 Whether you’re with the whole family or looking for a cute date idea while abroad, Santa Monica Pier offers hours of activities, with the quirky atmosphere of the world-famous Venice Beach only a short walk away. Santa Monica Pier, USA. Photo credit: Raphael Martin. Famous for its clubs, nightlife and beaches, Ibiza is an island with a lot to offer. Grab a drink and relax along the shore in front of Café Del Mar to catch a glimpse of the sunset as soothing Balearic music plays from the nearby bars. Ibiza has been the party capital of Europe for decades with many club brands such as Pacha, Amnesia and Space originating there. 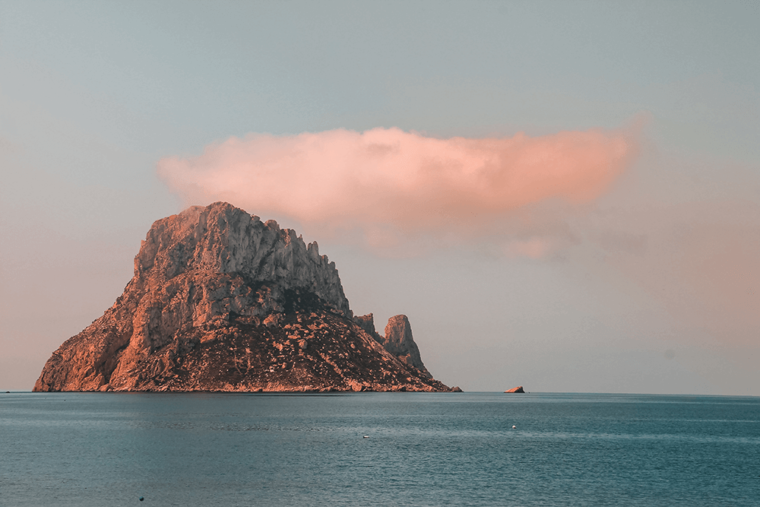 But if you’re not into clubbing, Ibiza also hosts beautiful beaches such as Cala d’Hort, and restaurants with tantalising Spanish cuisine. Ibiza, Spain. Photo credit: Adrien Prv. 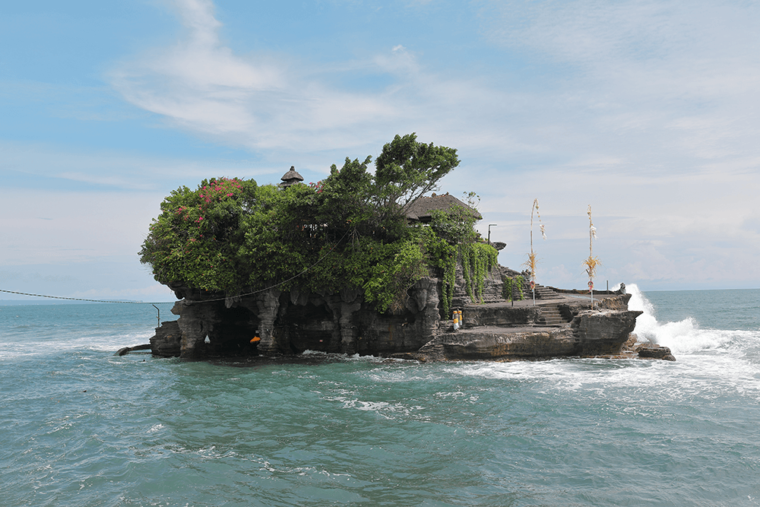 It’s easy to see why Bali is one of the most popular tourist destinations for Australians. People come for Bali’s beautiful coastlines and surf breaks, its delicious Indonesian food, and its rich cultural history. You can easily watch a beautiful and unique sunset from a different location each night, no matter if you choose the shores of Kuta Beach, with a drink at Omnia club, or surrounded by mischievous monkeys at the Uluwatu temple. Best visited as the sun goes down, be sure to check out Tanah Lot Temple. And if you want to get away from it all, don’t forget to visit the famed Ubud rice terraces for some peaceful exploration. Tanah Lot Temple, Bali, Indonesia. Photo credit: Maksim Shutov. With Vodafone $5 Roaming, travel further and stay connected. You can use Vodafone’s $5 Roaming with your phone, tablet or mobile broadband plan for just $5 extra a day in 80 countries, for up to 90 days in a calendar year. Countries may vary, so check the list of included countries before you travel. For Red Plus & SIM Only Plus Plans, only Your Max Speed data is included while $5 Roaming. As one of Vodafone’s digital content creators, Liam is a talented writer with a strong knowledge of copy optimisation. In his downtime, Liam dedicates himself to his study of Brazilian Jiu-Jitsu.